When you think of “White Collar Crime,” what do you think of? Do you think of a person in an expensive suit sitting behind a desk skimming money off the top of an investment account? For many, this is the portrait the phrase “White Collar Crime,” paints for them. This is not necessarily a true and complete representation, however. White Collar Crime includes much more than the limited world of office scandals and business deals. In fact, in the State of Florida, the legislature has enacted a special statute to protect victims of White Collar Crime by defining these crimes and imposing serious penalties and even enhanced penalties. Anyone charged with a White Collar Crime or who is a victim of White Collar Crime must retain a good lawyer. Also remember that “White Collar” charges can be brought against you in State and in Federal Court. 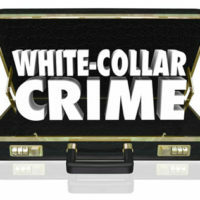 What is included in the category of White Collar Crime? This list describes just a few of the things that may constitute White Collar Crime in Florida. A person may also commit “Aggravated White Collar Crime” where the victim is determined to be a member of a vulnerable class of persons such as the elderly or disabled. The penalties for a crime which falls under the White Collar crime umbrella vary depending on the nature and extent of the crime. However, generally all offenses are classified as felonies, which means that a year is prison is just the minimum sentence and the maximum will be higher. Additionally, aggravated offenses also carry with them fines of $500,000 or more, or double the amount of the pecuniary gain or loss depending on the situation. The defendant would also be liable for any and all court costs. In Federal Court, a person can be charged with bank and mortgage fraud, mail and wire fraud, conspiracies, and schemes to defraud. The penalties can be up to 30 years in prison. If you are indicted Federally, or if you are the subject of an FBI raid, you need a good lawyer who is experienced in Federal Court. A good, experienced lawyer is also someone to have on your side if you or your company is ever served with a Federal Grand Jury Subpoena or approached for an interview by a Special Agent. Our firm has just added Nancy Vorpe Quinlan, Esquire, a former Federal Prosecutor for over 20 years, with experience in all types of federal crimes and investigations. She is ready to work for you. If you or a loved one may have committed a White Collar Crime, in either State of Federal Court, or if you are a victim of one, you are not alone. Contact Perlet & Shiner, P.A. in West Palm Beach, and let an experienced attorney guide you through the legal process in order to achieve the best results.